Advances in signal processing technology are enabling ever more accurate visualization of existing sound fields and precisely defined sound field production. 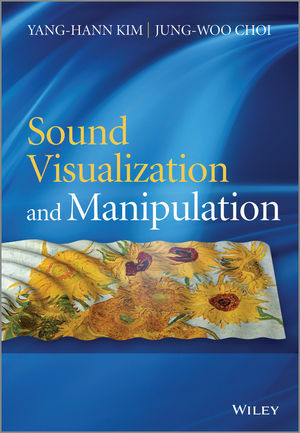 The idea of explaining both the problem of sound visualization and the problem of the manipulation of sound within one book supports this inter-related area of study. With rapid development of array technologies, it is possible to do much in terms of visualization and manipulation, among other technologies involved with the spatial distribution of sound. This book aims to explore various basic functions for the visualization and manipulation and demonstrate to the reader how these properties determine the quality of visualization and manipulation. The first half of the book introduces some basic and general concepts and theories and the second part of the book explains a number of techniques in sound visualization and manipulation. It offers a unified presentation to two very different topics - sound field visualization techniques based on microphone arrays, and techniques for generation of controlled sound fields using loudspeaker arrays. The authors emphasize the similarities between these two physical problems and between the mathematical methods used for solving them. With extensive examples throughout the book, chapters include: Acoustic Wave Equation and its Basic Physical Measures, Acoustic Wave Equation and its Basic Physical Measures, Basic Theory of Sound Visualization, Acoustic Holography, Beamforming, Basic Theory of Sound Manipulation, Sound Focusing, and Sound Field Reproduction. Professor Yang-Hann Kim and Jung-Woo Choi; both of the Center for Noise and Vibration Control (NOVIC), Department of Mechanical Engineering, KAIST (Korea Advanced Institute of Science and Engineering, Korea. Professor Kim gained his B.S. in Naval Architecture and Marine Engineering from Seoul National University, Korea, in 1977, and his Ph.D in Acoustics and Vibration in M.E. (O.E. Program), M.I.T., USA, in 1985. He has been working in the field of sound visualization and manipulation for more than 20 years, and has taught acoustics to undergraduate and graduate students. His research interests include Sound Visualization, Active Noise/Vibration Control, Sound Focusing, Structural Acoustics, and Duct Acoustics. He has written two books and contributed to numerous journals and conference papers. Professor Kim was awarded the Excellence Award in Teaching from Mechanical Engineering, KAIST (Dynamics, 2010). Professor Choi gained his Ph.D in Acoustics and Vibration in Mechanical Engineering from KAIST in 2005. He was Visiting Post-Doctoral Researcher Institute of Sound and Vibration Research (ISVR) at the University of Southampton, UK, in 2006, and worked as a Senior Engineer in the Acoustic and Sound Technology Lab., Samsung Electronics in 2011 before taking up his current post. Professor Choi's research interests include Sound Focusing, Sound Field Reproduction, Sound Visualization, and Active Noise/Vibration Control. He has written extensively on the topic in numerous journals and conference proceedings.